Carnival Corporation announced U.S. GAAP net income of $391 million, or $0.54 diluted EPS, for the first quarter of 2018, higher than U.S. GAAP net income for the first quarter of 2017 of $352 million, or $0.48 diluted EPS. First quarter 2018 adjusted net income of $375 million, or $0.52 adjusted EPS, was higher than adjusted net income of $279 million, or $0.38 adjusted EPS, for the first quarter of 2017, the company said. Adjusted net income excludes unrealized gains and losses on fuel derivatives and other net charges, totaling $16 million in net gains for the first quarter of 2018 and $73 million in net gains for the first quarter of 2017. Revenues for the first quarter of 2018 of $4.2 billion were higher than the $3.8 billion in the prior year. 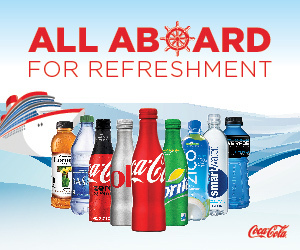 Carnival Corporation & plc President and Chief Executive Officer Arnold Donald stated: "We are off to a strong start to the year achieving another quarter of record earnings on record revenues and exceeding the high end of guidance. This strong operational execution affirms our efforts to create demand in excess of measured capacity growth and exceed guest expectations once onboard. 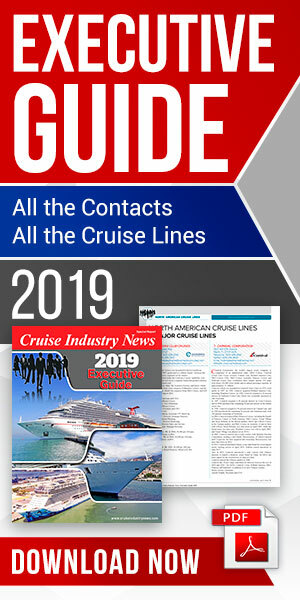 Our guest experience efforts, coupled with our ongoing marketing and public relations programs are clearly accelerating cruise demand across the board to drive cruise ticket prices higher." Carnival said cumulative advanced bookings for the remainder of 2018 are in line with the prior year at higher prices. Since January, booking volumes for all future periods have been running ahead of prior year at higher prices. Donald added" "The booking strength achieved during this year's wave season, outpacing even last year's record levels, demonstrates sustained strong demand for our world's leading cruise brands and delivers further confidence in our raised earnings guidance. We remain on track to achieve double-digit return on invested capital while continuing to return cash to shareholders through ongoing share repurchases and dividend growth." The company invested more than $250 million in share repurchases since the beginning of the quarter, bringing the cumulative total of repurchases to date to over $3.4 billion since late 2015. Based on current booking trends, the company expects full year 2018 net revenue yields in constant currency to be up approximately 2.5 percent compared to the prior year, in line with December guidance. The company expects full year net cruise costs excluding fuel per ALBD in constant currency compared to the prior year to be up approximately 1.0 percent, also in line with December guidance. Changes in fuel prices (including realized fuel derivatives) and currency exchange rates are expected to increase earnings by 0.10 per share compared to December guidance. Taking the above factors into consideration, the company expects full year 2018 adjusted earnings per share to be in the range of $4.20 to $4.40 compared to December guidance of $4.00 to $4.30 and 2017 adjusted earnings per share of $3.82.